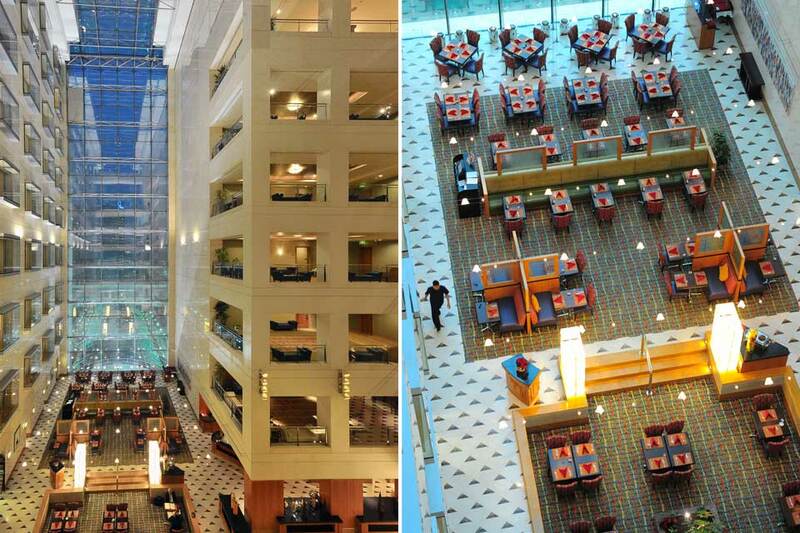 The 302 rooms and suites of the luxury 4-star Courtyard Marriott Hotel are divided between its two main building towers. 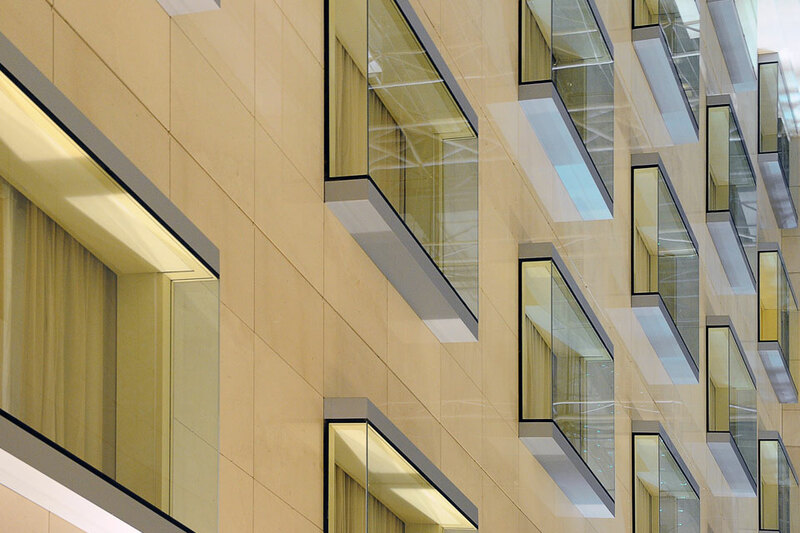 These are connected by an 8 storey top-lit glass atrium that allows natural daylight to stream in and gives visitors and guests alike a sense of well being throughout the day. At each end of the atrium a linear slot of glass gives dramatic views across the city or back toward the coast, and six connecting tower bridges and spacious floor foyers overlook the atrium. Full height cream marble walls create an elegant surface across which the light is cast during the day whilst the upper six floors of the thirty storey tower provide offices, accessed via a separate elevator lobby. The hotel functions are completed with a suite of meeting rooms, cafes, restaurants and grand banquet halls and include a health club and swimming pool offering exquisite views over the city. Client: Salhiya Real Estate Co.